So I am super stoked about this awesome new blog post from one of my really good nursing friends, Christine. 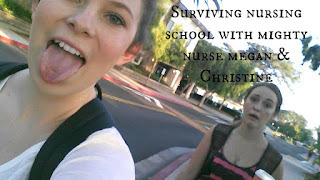 She has some amazing insight to tell you about surviving nursing school and I am happy that she has decided to share it here on Mighty Nurse Megan. 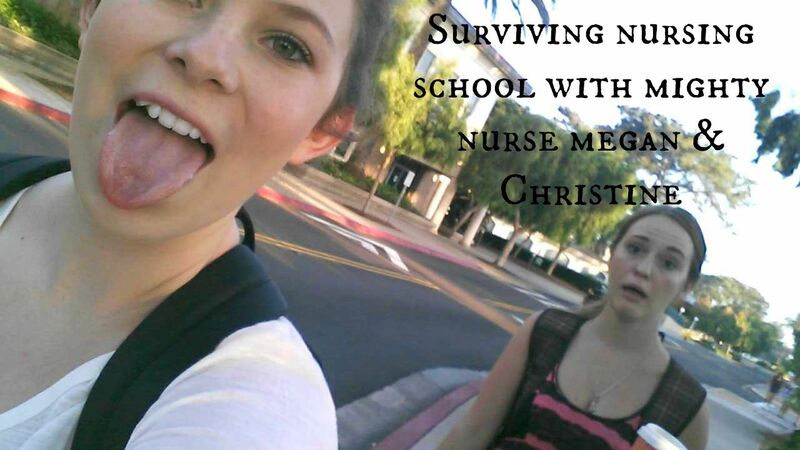 All of her posts will go in the "Nursing School Survival with Christine" tab at the top. Without further ado here is Christine! I’m so excited to be sharing my nursing school experiences with you all! First off, I want to introduce myself. My name is Christine and I’m going into senior year of my BSN program alongside Mighty Nurse Megan. How did you know you wanted to be a nurse? I grew up around nurses. My grandmother, my uncle, and my God mother are all (or were, in my grandmother’s case) nurses. I loved growing up listening to stories about how they helped people, the crazy traumatic cases, and of course the bizarre patient experiences. Because of that, I’ve always known I wanted to join the profession. When I got into nursing school, I was technically prenursing and I absolutely hated it. I had anatomy both semesters and I could not take all the memorizing; I felt like it was so useless. For a while that year, I thought I had made a terrible mistake in choosing my profession. My dad talked me into finishing out the year and applying for the nursing program to see how I liked it. Once I got into my first clinical, I fell in love. I loved talking with my patient, learning how to do my assessment, and getting a feel for what it was like working with so many successful professionals. Since then, I knew it was a learning experience in perseverance and hard work. What has been the hardest part of nursing school up to this point? Honestly? The different personalities. 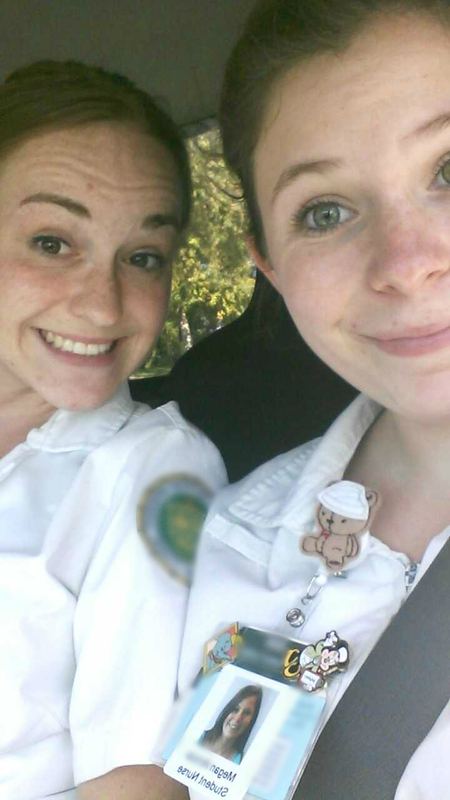 There are so many different people that you take classes with, go to clinical with, and are always around. You see the cliques, attitudes, clashes, and drama. It’s like living in a soap opera about a high-strung sorority! But sometimes, you meet some great people you can really bond with. I’ve been incredibly fortunate to make a couple of really close friends that understand exactly what I’m going through, while being honest and blunt enough to tell me when I’m freaking out over nothing (or vice versa!) and bring me back down to earth. As far as the nursing stuff? It’s really all common sense. Read the books, go over notes, and if something isn’t clear, go over it or talk through it until you get that “Ah-ha” moment. Don’t worry, it’ll come…eventually. I’m so happy to have been able to share a little bit of my story with you all. Stay tuned for more about me, my nursing school experiences, and nursing stories or tips. I’d love to hear about your school or professional experiences as well! Do you want to share you nursing school story as well? Mighty Nurse Megan would love to feature you. Email your story to us and make sure to put nursing school story in the subject line! Thanks for sharing your story Chrostine!! !